It’s been a wild spring here in Oregon. Spring has sprung, which means flowers are popping and intense rains and lots of trees down due to storms. 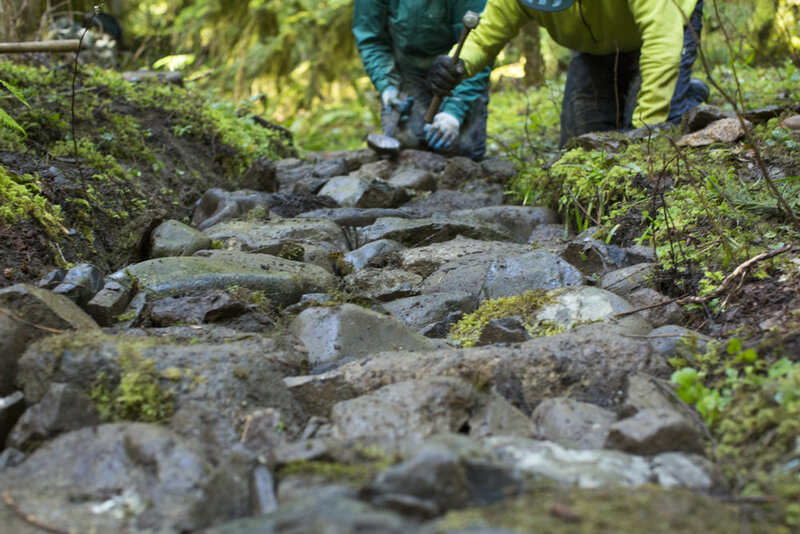 Oregon Timber Trail has announced its list of trail stewardship events, including the backcountry trail maintenance class in Oakridge, which will take place on April 27-28. Here is a link to those events. If you haven’t joined them for any of the stewardship events, I highly recommend them. After this intense winter and crazy spring, I can guarantee that there will be plenty of work to be done! It really is the best way to get to know those remote trails and a great way to give back. The trails thank you. On a personal note, I had my much-needed shoulder surgery several weeks ago. The surgeon took a piece of the Coracoid process and attached it to the outside of my shoulder socket, to repair the bone that had chipped off during dislocations. I’ve started my PT with the good folks at Northlake Physical Therapy, and have been able to keep up my riding on the Elite Drivo II Smart trainer. Man! Has that machine been a godsend! I’ve really been enjoying the physical and mental challenge of this recovery. Friends and neighbors have been bringing us healthy meals via Mealtrain and we’re so grateful for that support. I’m doing my best to just be present with the recovery, knowing that I’ll be back on the bike when the good weather is here to stay. Dylan and I will be heading down to Sea Otter this week. We’re pitching a film project and seeking partners on that. We’ll keep you posted on that as well, and share the highlights of what we see down there. We’re pulling the Spring/Summer Gear Guide together as I write this. We have lots of great clothing and gear updates to share with you! Look for the latest from 7Mesh, Pearl Izumi, Gore Bike Wear, Oakley, Shimano, Topeak and many more! Stay tuned for that!